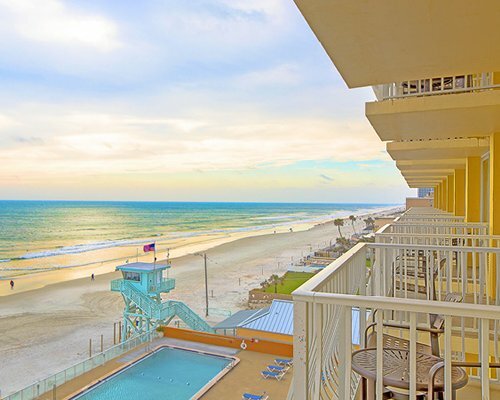 Ormond Beach, once a mecca for American royalty, like the Astors and Rockefellers, now beckons millions of vacationers who return for the shimmering beaches and exciting attractions. 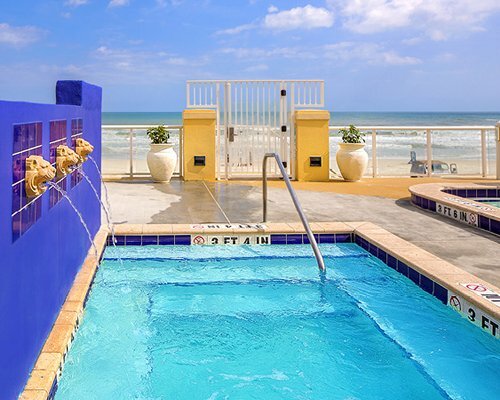 Casa del Mar overlooks the Atlantic Ocean and a 23-mile stretch of beach. 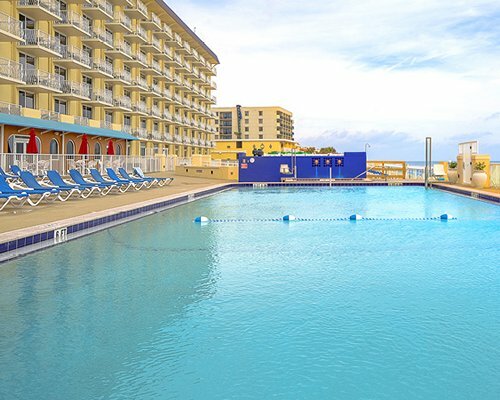 Bring your sunscreen because the resort offers a beachside pool deck and an outdoor pool for sun bathing. 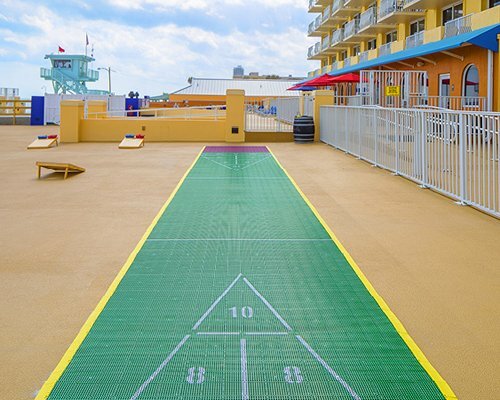 There are many activities for children and teenagers and the resort is directly across from a miniature golf course, so families will have a great time here. The location puts you in the center of the action. Daytona International Speedway is nearby and Orlando, St. Augustine, Ocala, and Kennedy Space Center are less than two hours away. 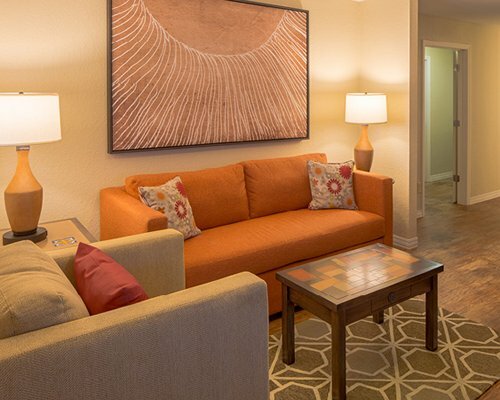 The hotel and studio units sleep 2, the 1-bedroom 4, and 2-bedroom units sleep 6-8. 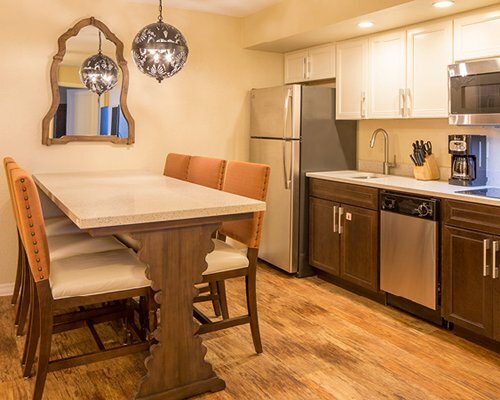 The studio units for 4 are ocean front, and the studios for 2 are street view and have a partial kitchen, no stove. The villas are as sunny as a Florida day. 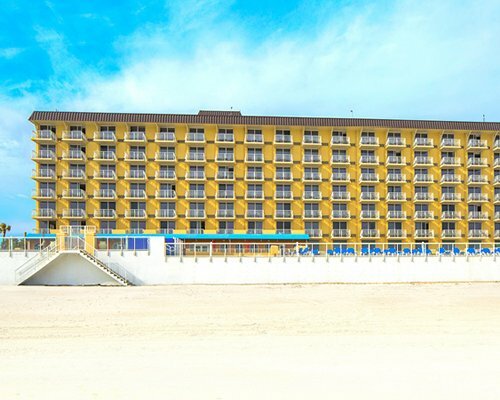 The majority of the rooms are oceanfront with pleasant yellow walls, plantation shutter and tropical, colorful dÃ©cor. 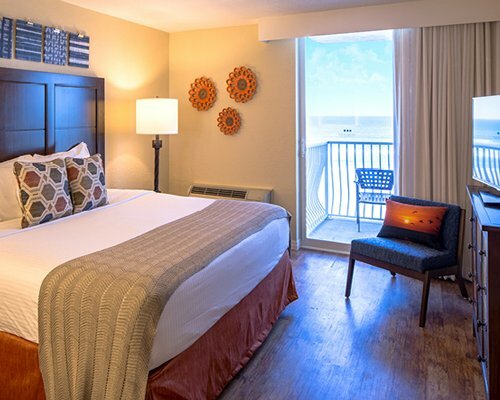 The rooms are spacious which is unusual because many Florida resorts that have oceanfront units offer their guests smaller rooms. Here, you will be pleasantly surprised. 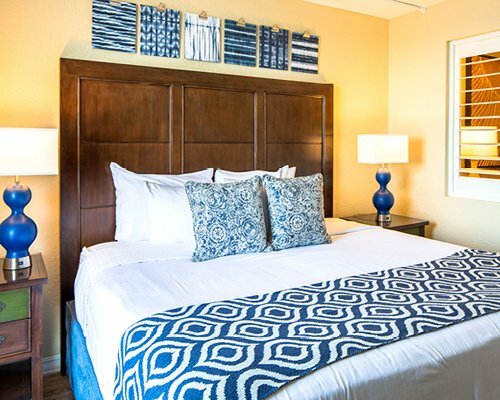 The units are stocked with all the conveniences and amenities you'll need which is what you want expect from a resort that offers hospitality and a warm welcome to all their guests. Want to have fun without opening your wallet? Ormond Tomb Park has 13 lovely acres filled with picnic areas, nature trails, historic markers and a children's playground. If you'd like to check out the local art scene, visit The Casements, the former winter home of John D. Rockefeller. For a very unusual experience, swim with the dolphins at Marineland's Dolphin Conservation Center. For a beautiful, but leisurely road trip, exploring as you go, take a drive up A1A to St. Augustine. Don't forget to sample the local fare. Many restaurants offer catfish 'Southern style. 'You'll want seconds! "Housekeeping fee for all RCI points reservations: There may be a fee of 57.00 U.S. dollars for Hotel, per stay. Cash or Credit is accepted." 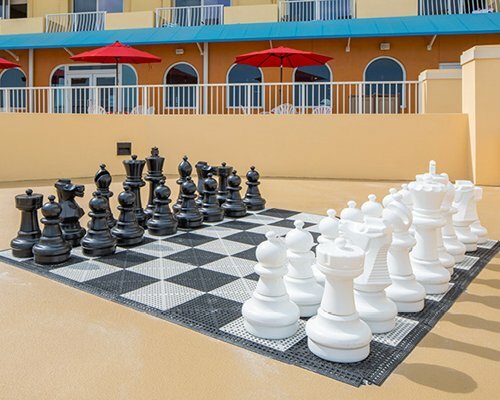 "Housekeeping fee for all RCI points reservations: There may be a fee of 67.00 U.S. dollars for Studio, per stay. Cash or Credit is accepted." "Housekeeping fee for all RCI points reservations: There may be a fee of 77.00 U.S. dollars for 1 Bedroom units, per stay. Cash or Credit is accepted." "Housekeeping fee for all RCI points reservations: There may be a fee of 87.00 U.S. dollars for 2 Bedroom units, per stay. Cash or Credit is accepted."